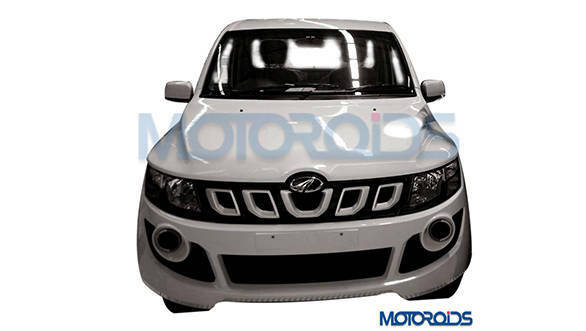 Mahindra is set to launch a refreshed Genio soon and spy shots of the pick up have begun surfacing on the Internet. The images reveal a bold new front end that bears no resemblance to the Xylo that the current Genio derives inspiration from. New design features include- refreshed grille, headlamps, bonnet and bumpers. 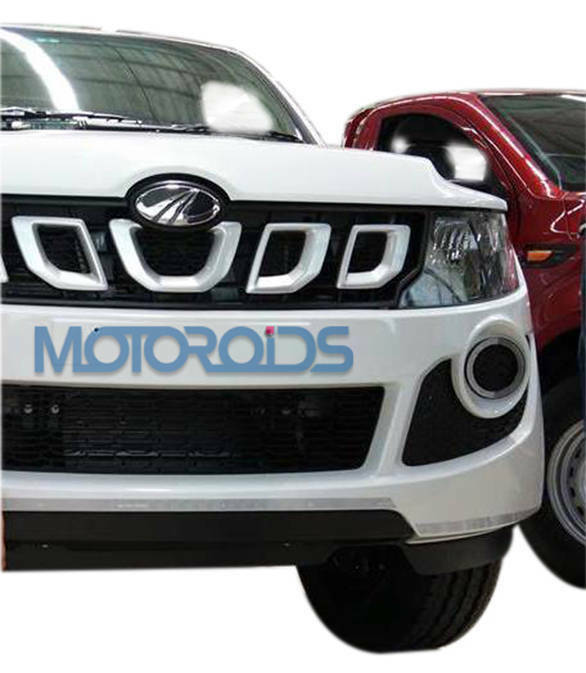 The grille design is unique and sports a row of blocks that look unlike the usual saber tooth grille design that's usually seen on Mahindra vehicles. The headlamps are multi-reflector units with clear lens indicators. The bonnet feature two prominent crease lines that extend from the base of the A-pillar to the leading edge of the bonnet adding a dollop of bulk to the pick up truck. The bumper has larger air dams but come with the same, circular fog lamp housings, outlined by a reflective strip. Mahindra will probably sell the foglamp as an accessory. The new Genio will also get body coloured mirrors.